Yesterday’s hymn was a great hymn written by a great author, Charles Wesley. Here is the link to it if you missed that one: Hymn of the Day: Arise, O God and Shine. Today’s hymn is great, yet not well known, hymn from another great author, John Newton. I will probably write a short biographical post on him in the near future, so I don’t want to bother you right now with a huge article! Something to note, however, is that Newton was a wicked sailor boy in his youth. It was said that he could swear worse at the ripe young age of 12 or 14 than any adult sailor. He engaged in the slave trade, but the grace of God changed him eventually. He went from helping to sell slaves to helping to abolish the slave trade! He wrote many hymns including the most famous hymn of all, Amazing Grace. Today, we look at a “hymn” which Newton wrote the lyrics to. As far as I can tell it was just lyrics. I cannot for the life of me find any sheet music to his original composition, only the words…. Red Mountain Music and Indelible Grace have made their own tunes to the lyrics that John Newton wrote. 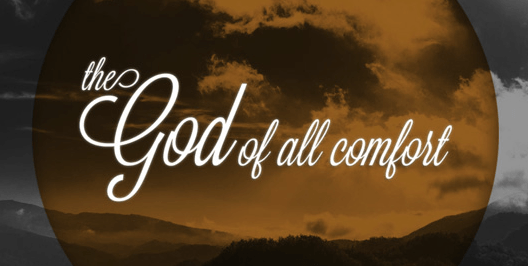 Although Newton knew how to speak encouraging truths that our pensive, doubting, fearful hearts need to hear, the Lord knows how to comfort us even better.